If your family or friend is ill, to see him or her with a customized get well soon card will be considered as something healing. It is heartwarming for your loved one since they will know you’re there. 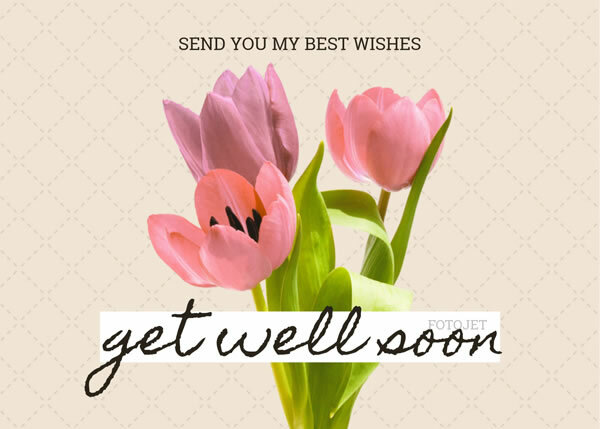 This floral card template keeps a clean design providing a good sample to inspire you more get well soon card ideas. You're free to add your own get well soon messages and customize the design too. So you can wish someone gets better soon in your special way.